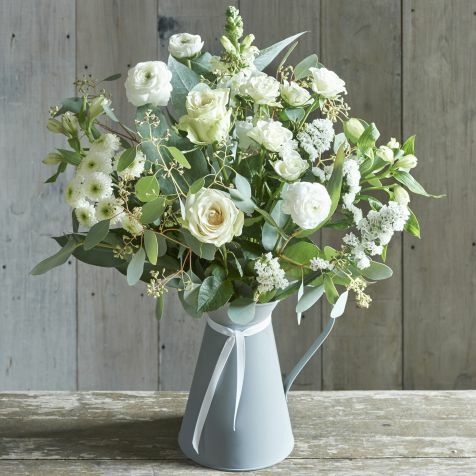 Mother's Day gifts for the older mum | Is This Mutton? With Mother's Day in the UK on March 26, there will be a flood of articles very soon on gift ideas, mostly aimed at mums my age or younger. Which is great, except that they're ignoring the older mums, the mothers of Baby Boomers. So my gift guide is aimed at mums aged 75 and over, and is unashamedly based on what my Mum, 84, would like. I've featured her in the blog previously. She's very keen on buying clothes and make-up and dealing with challenges like ultra-sensitive skin and wrinkles (she says she would try Botox if she could afford it). She occasionally buys costume jewellery but doesn't care much for scent and would be quite offended if confronted with a coffret of old-fashioned, or "old lady", bath products. What she does like is scarves in colours that suit her; cashmere, particularly in extra indulgent forms that she would never buy herself, such as bed socks or hot water bottle covers; books (Scandi noir, and not for a Kindle) and twinsets which have some bling on them. A camisole with matching cardigan in a colour like yellow is ideal for her because it covers her tum and is a great antidote to the dull colours that most older women wear. But it mustn't be too clingy, lacey or low cut. Peter Hahn has a good selection and she rates the quality of their stuff. Decent chocolates, flowers and wine are also very acceptable to Mum, albeit a little predictable. I also collect packets of seeds for her as a little extra, annuals which can be thrown down and help to fill her large borders. The cardigan above is by David Nieper, a British brand, and would be ideal for my Mum because she loves yellow. And cardigans.In 100% cotton, this cardigan is very versatile and can be worn over a dress for a special occasion or more casually with jeans and a plain t-shirt. The pretty pastel colour is perfect for spring. Available in sizes 10-28, priced at £110. 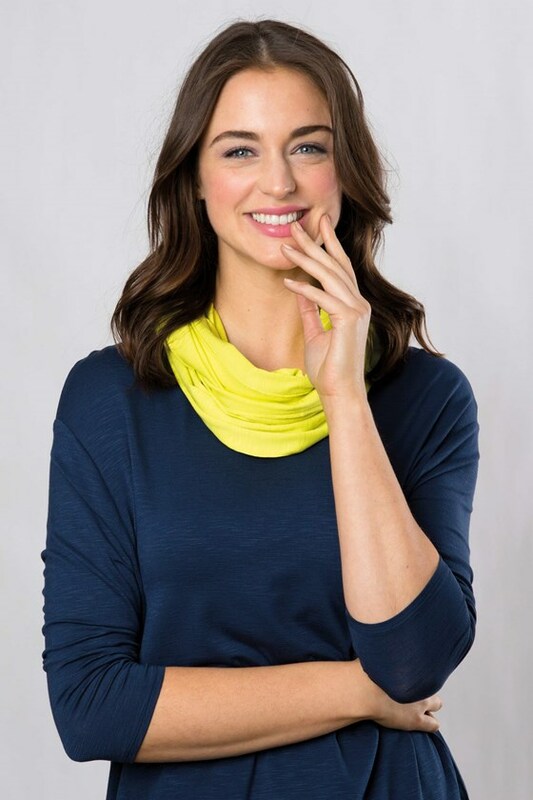 Silk scarves always make a great present because older women like to cover their necks and decolletage. John Lewis always have a great selection. As my Mum is savvy about the colours that suit her I would also take a look at Kettlewell Colours and their infinity scarves, below. She would seriously rock neon yellow and probably pair it with turquoise. As we're now in spring I won't be getting her any bed socks or hot water bottle covers. 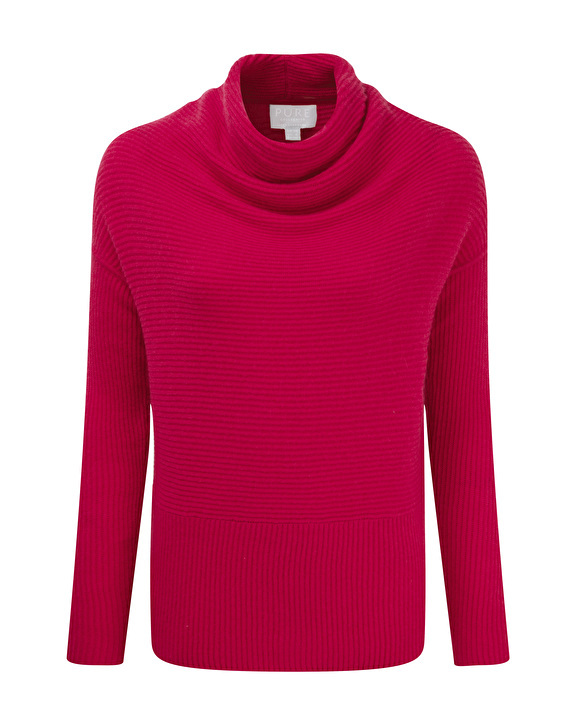 But a drape neck gassato cashmere jumper, like the one from Pure Collection, below, would be perfect. She loves drapy tops but nothing too long that swamps her. When I buy flowers for Mum, I try to reduce the amount of faff for her in terms of having to arrange them. If flowers come "pre-arranged" in a vase or container, all to the good, and Mum's thrifty nature means she will continue to get good use out of it over time. 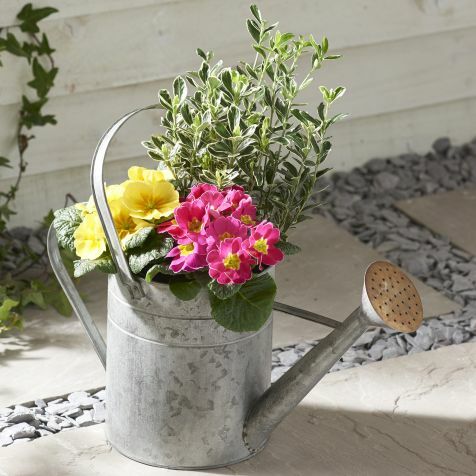 This watering can arrangement from Next is ideal because it'll look good in her garden. They also have a pretty white arrangement, the Whisper, in a jug, below. Sweet treats are always popular. You can never go wrong with Betty's of Harrogate. I've used them several times: their cakes are absolutely delicious. Their selection includes a Mother's Day basket of goodies. Finally I will be indulging her love of Scandi noir with some books like Rupture by Ragnar Jónasson and Stalker by Lars Kepler. I recently read an amazing book based on the story behind the last execution of a woman in Iceland for murder. Called Burial Rites, it's by Hannah Kent and I've got Mum the paperback version. I'll be treating Mum to a Mother's Day lunch at the Corbyn Head Hotel in Torquay. We have been going for years and it's always delightful: quite retro and genteel with a pianist and old-fashioned menu, and a bouquet of flowers for every mum. If you're lucky enough to still have a mother to spoil, what kind of presents and treats are you considering? Such great suggestions. Thanks for the inspiration! Love these gift ideas! =) Great post! Great gift ideas! And your Mother's Day plans sound lovely! I've been sending flowers quite frequently lately. I'm imagining our mothers on a get together! They sound very alike Gail. Does your mother share an interest in your blogging? I bet she does. My mother is 85 and my inspiration and best friend. Some lovely ideas here and mother would love them all. My mum surprised us all by getting broadband and buying a tablet a couple of years ago (after never having used either or a PC or smartphone).But she found all the news feeds irritating and was spending too much watching catch up TV.....so she doesn't use it now. So she isn't really interested, I guess, in blogging....although I am going to take some pics of her for the blog on Mother's Day. I have gotten an infinity scarf from Kettlewell Colours because of your blog. It wasn't for my mom but for a friend that I met in http://www.babyidesign.com/, who is about to pop this month. She gave me a call today, telling me that she likes it very much. Thank you for your suggestion!